Acts 15:18 - Known to God from eternity are all His works. The two Scriptures quoted above clearly show us that our sovereign God knows, plans and declares His works from before the time Creation began. The greatest work of God is that which he accomplished through the Lord Jesus Christ; His death, burial and resurrection on the third day according to the Scriptures (1 Cor 15:3-4). Addressing His Father in John 17:24 the Lord Jesus reveals a deep truth when He says, ‘… for You loved Me before the founda- tion of the world’. The relationship between the Father and the Son, the denial of which re- veals the spirit of Anti-Christ (1 John 2:22), is the core relationship in the whole universe and serves to demonstrate to us the character and nature of God and His love. From the beginning of Genesis the nature of the relationship between the Father and the Son is demonstrated to us. Romans 5:14 tells us that Adam ‘is a type of Him who was to come’, meaning the Lord Jesus. A type is a representation of a future person, event or series of events in the Bible which acts as prophecy and gives additional insight into the future when it occurs. The primary objective of types is to reveal the Lord Jesus and his relationship within the Godhead, His work of Redemption and His glory at both the First and Second Advents. Adam is a type of Christ and this sets a pattern throughout the Old Testament where Godly servants of the Lord prefigure Jesus Himself and aspects of His life and work. Not on- ly the persons of Scripture, but animals, plants, materials, events and the very facts of the history of the people of Israel all serve to display the Lord Jesus and His ministry, revealed in the verses of God's Word centuries and millennia before Christ came 1. The Father delights to honour His Son and, combined, the ‘Types’ of the Old Testament declare the Words of the New: “This is My beloved Son, in whom I am well pleased. Hear Him!” Matt 3:17 & Luke 9:35. Over the few chapters we will focus on the relationships of Isaac with Abraham, Sarah, Ishmael and Rebecca, in addition to other persons and events which reflect and prefigure the Lord Jesus, His walk amongst us and His coming again. We will discover that Abraham is a type of God the Father Himself, Sarah, a type of His people Israel and Isaac is one of the most beautiful figures of the Lord Jesus to be found in the Word of God. ..... and so on throughout every page of the Old Testament where, literally, thousands of accurate and enlightening types are to be found. Abraham is given the honoured and coveted title of ‘friend of God’. See also Isaiah 41:8 & 2 Chronicles 20:7. Our Mighty God chooses his friends with great care and this particular relationship given to Abraham reflects the depth of esteem with which the YHWH regarded him because of his faith in God Himself. Indeed, Abraham has been regarded as a type of the life of faith for generations based on proof in Galatians 3 and Hebrews 11. However, there is no more appropriate Bible character than Abraham, to be a type of the fatherhood of God and a type of God the Father Himself. Rebekah as the true Church, the Bride of Christ. The birth of Abraham’s son Isaac — the result of a divine promise in Genesis 15 — is clearly supernatural. Genesis 21:1 states that YHWH visited Sarah and ‘He did for Sarah’ prefiguring in a type, events in Israel about 2,000 years later when the Holy Spirit came upon Mary (Luke 1:35). Of course, in this case Isaac has Abraham as a biological (and elderly!) father but the divine intervention is explicit and the parallel with the conception of the Lord Jesus quite remarkable. That God is working to a pre-ordained plan and a timetable is evidenced by verse 2 stating ‘for Sarah conceived .... at the set time of which God had spoken...’, meaning at the ‘Right’ time. That is, the right time according to God's will and intention. 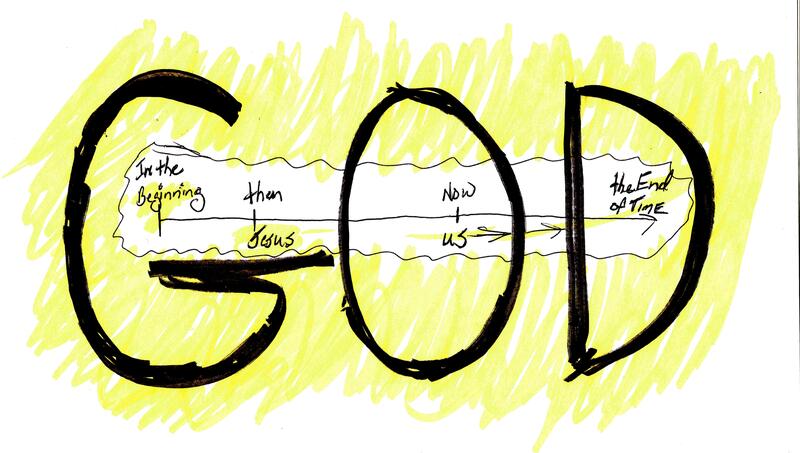 We learn in Romans 5:6 ’For when we were still without strength, in due time (‘at the right time’, margin note NKJV) Christ died for the ungodly’ and Galatians 4:4 ‘But when the fullness of the time had come, God sent forth His Son, born of a woman …’. The birth of Isaac is at a precise and fore-ordained time to suit the exact plan of YHWH. This pictures the details of the conception and birth of the Lord Jesus, at the time of the Father’s choosing, fulfilling over 300 Biblical prophecies in the Old Testament in the finest detail, and being completely punctual according to a heavenly time-line — which ticks on until this day, anticipating the soon return of Jesus. Not only is Isaac a ‘type’ of Christ but he is also a part of the Messianic line from which Jesus Himself will descend, being the fulfilment of the promised ‘seed of Abraham’. Reading from Galatians 3:16 ‘Now to Abraham and his Seed were the promises made. He does not say, “And to seeds,” as of many, but as of one, “And to your Seed,” who is Christ’. The Lord Jesus is the final and absolute fulfilment of the promises of God to Abraham and, indeed, of all the promises of God. In the coming Millennial Kingdom all these promises will have their literal and practical completion here on Planet Earth when the Lord Jesus reigns from Jerusalem as King of Israel and King of Kings and the sons of Abraham have the fulness of the covenant of Genesis 15 extended to them. The first parallel between the Lord Jesus and His forebear and type is the supernatural nature and divine timing of their respective births. The relationship between God and Israel is described as ‘marital’ by the prophets Hosea and Isaiah. Israel is pictured as the adulterous wife of YHWH who will be restored to Him and know His absolute forgiveness and total rehabilitation. The Lord Jesus is the Son of God, but as the Son of Man He is born from the spiritually faithful remnant of the nation of Israel. In that respect He is a Son of Israel. The beginnings of the Hebrew people are in the womb of Sarah. If Abraham is the father of faith then surely Hebrews 11:11 establishes Sarah’s position as its mother ... ‘by faith Sarah also received strength to conceive seed, and she bore a child when she was past the age, because she judged Him faithful who had promised’ (emphasis mine). Sarah’s position as Israel in typology will be ratified as our studies continue. As an aside, it is an encouragement to see that type and forebear of Jesus is named Isaac, meaning ‘laughter’. The Lord Jesus is the cause and source of all true joyous laughter in earth and heaven; the hymn-writer captured that thought in the line ‘Joy of Heaven to earth come down’. Our delight and joy are to be found in Him in whom the Father is ‘well pleased’ and who, for eternity to come, will be our Life and satisfaction. Laughter ... the beautiful sound of peaceful, happy, contented and glorious relationships in Christ and the audible expression of ‘shalom’. In our next study we will begin our examination of Genesis 22 and the relationship between the sacrifice of Isaac on Mount Moriah and the cross of the Lord Jesus at Calvary.